Don't let your documents let you down! Would you say you were proud of your documents? Do you need to create an identity for your business - one which screams 'quality' and gives it a really professional look and feel? If you think your 'written image' needs a bit of an overhaul, I can really help you! 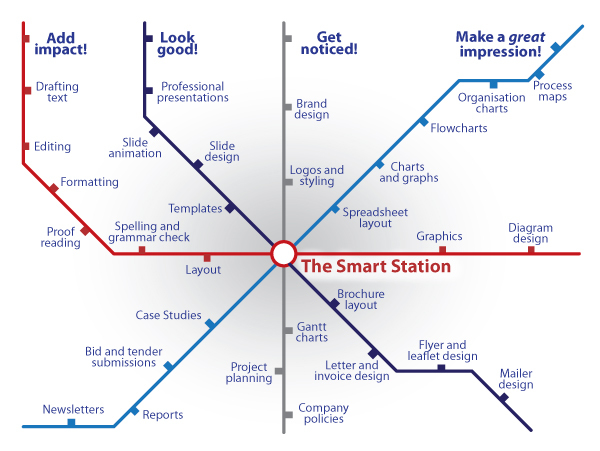 Smart documents, well-presented with a consistent brand and style will have real impact and ensure you get more than just a passing glance. In these tough economic times when you really need to stand out from the crowd, you must present your business or organisation at its best and create the right impression – whether you’re tendering for work, marketing to potential customers or just supplying information. Creating the right look means you’ll be taken seriously as a professional body and will make sure your paperwork gets you noticed - for the right reasons! If you want to feel proud of what you produce, but don't have the time, the skills or perhaps the resource for a permanent in-house design, marketing and editing function, I can offer a quick and easy alternative as your temporary resource - available when you need me, for as short or long as you need me, to do whatever you need me to do, and all this without the commitment of a full-time employee or salary! I get a real buzz out of making things look good and producing high quality results - and I could be doing this for you! Your documents - only better! From 'tidying up' an important client report, to designing and producing a full branded suite of documents, everyone needs help sometimes to look their best. I can produce work in your own 'house style' or using your own templates, or can design or suggest new styles or graphics appropriate to your requirements - whatever you need me to do! And if you need some fresh perspective on your content, I can help there too. Working with your exisiting text, or starting from scratch, with many years' experience in successful communications, marketing and management roles, I can provide editing and drafting creativity to make sure your key messages really get across. Any documents can benefit from some careful thought and design, but particularly for in-house produced reports, bid and tender submissions, newsletters, presentations, letters - whatever! - I can help. Text - drafting, layout, copywriting, proofreading, editing and formatting documents, reports, bid submissions, etc.